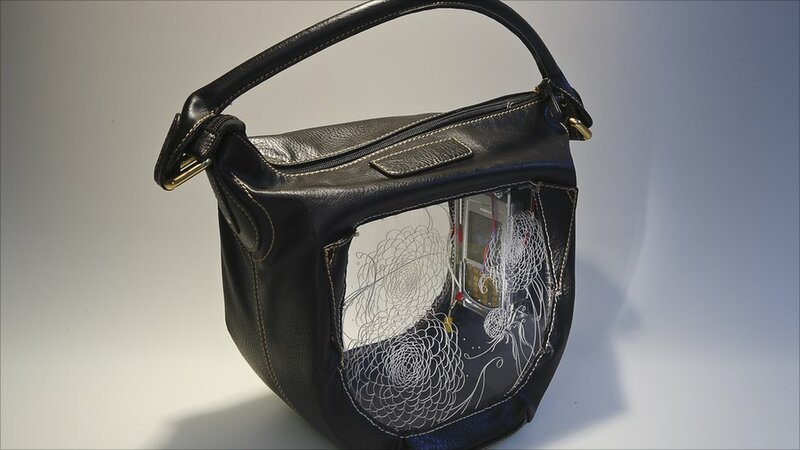 A handbag that takes photographs every 30 paces then forwards the image to your blog. 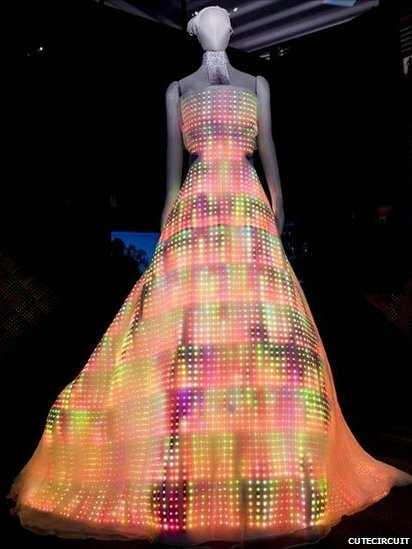 A mobile phone built into a dress, answer calls by raising your arm. 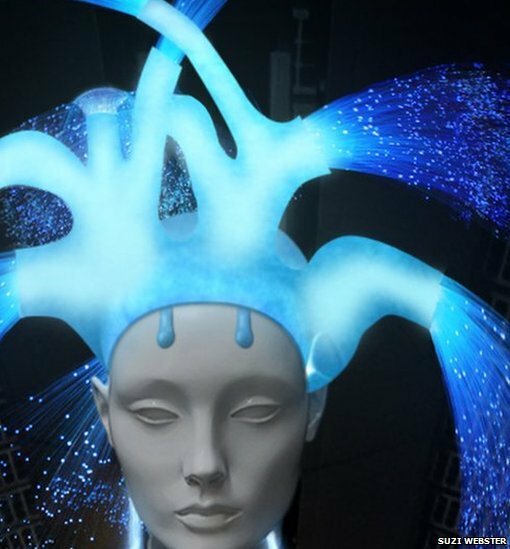 Brainwaves of the wearer are monitored by EEG electrodes in the headpiece causing colour changes in the fibre optics. A wedding gown made with made with 24,000 led lights.